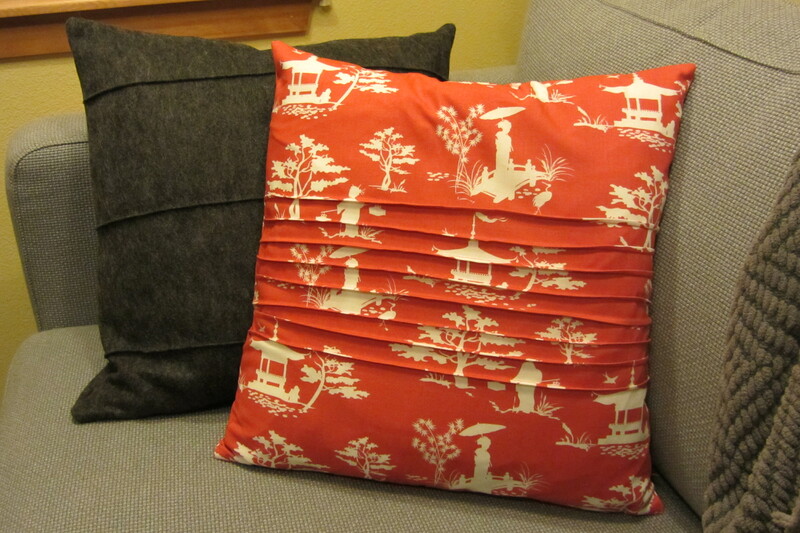 January brought more pillow fun. I’ve been coveting this beautiful fabric for months, but didn’t have a project in mind so I kept leaving it at the store. Finally I decided to just buy it and as soon as I walked in the house I knew it would replace the now faded pillows on the couch. It’s a Chinese red and not at all in line with the orange I normally pick for the living room, but it was beautiful on the grey couch, so it was time for a change. 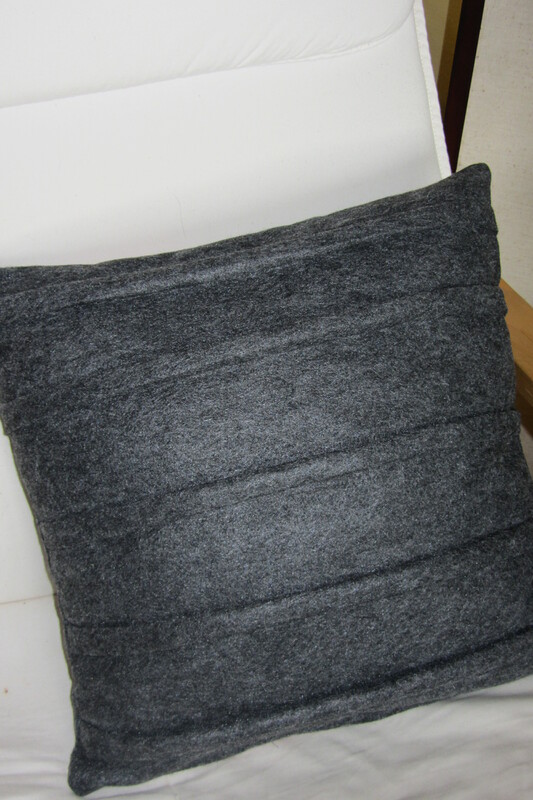 Conveniently I still had a giant piece of grey felt for companion pillows. 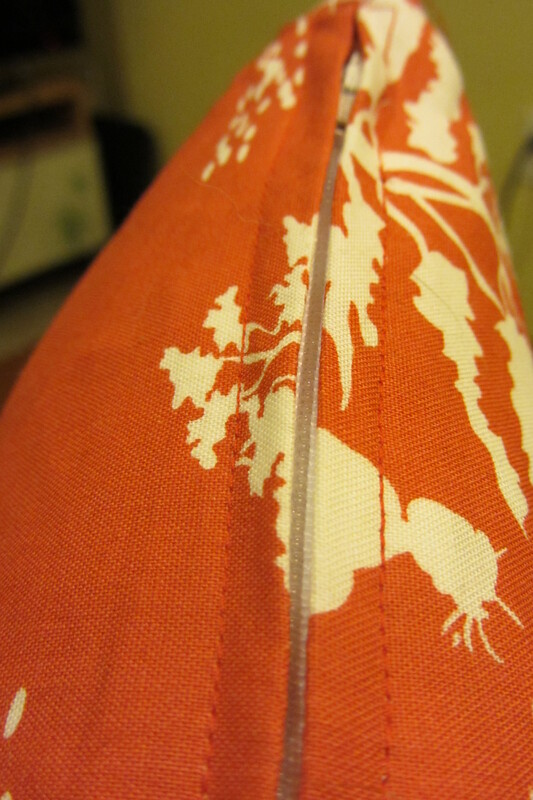 I decided this fabric needed a special treatment so I stared at many, many beautiful pillow examples online and finally decided to try my hand at pin tucking. It looked fancy, but I quickly came to believe everyone who said how easy it was. 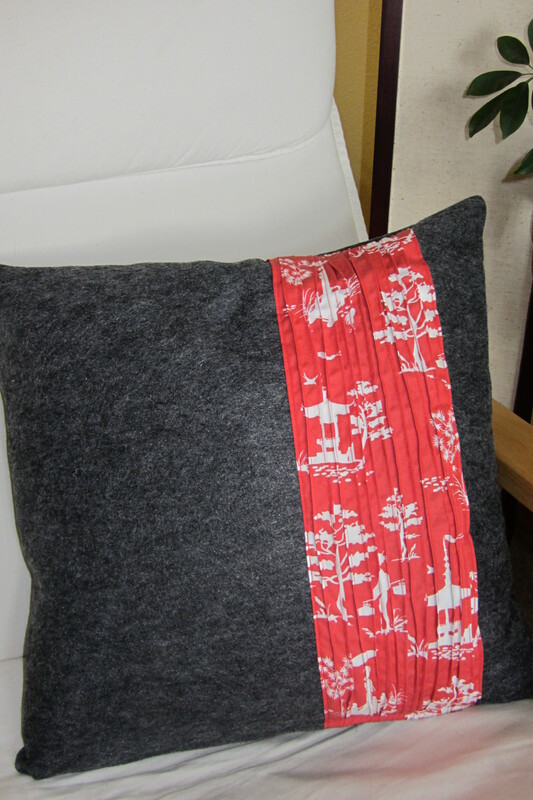 I put a band of pin tucking on the print pillows and three widely spaced ones on the felt. 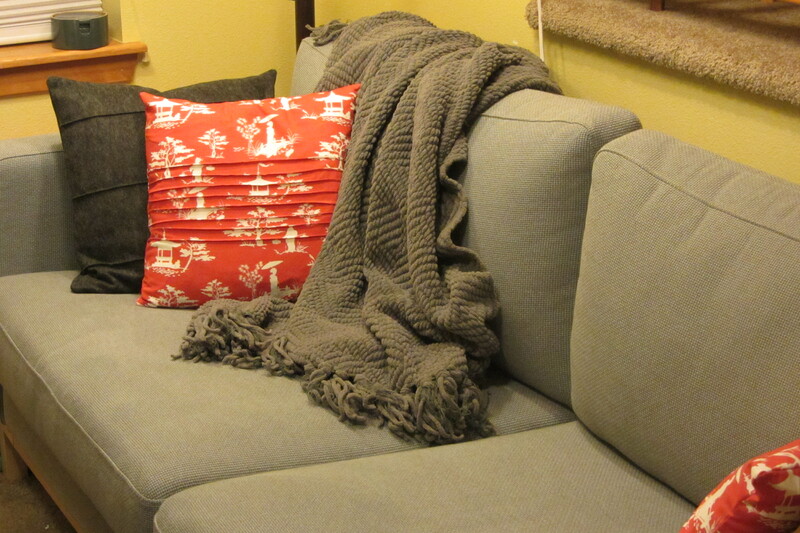 I couldn’t let any of the fabric go to waste, so I borrowed from this example and used the last piece to make another pin tucked band to put on a grey felt pillow for the chair in the room.